Somewhere, I’ve seen a description along with build plans for a portable dovetailing bench. However, I can’t find it. It looked perfect for clamping it on top of an MFT. It had a vise on the front that was tightened with two big handles. I’ve done a bunch of searches on the forum without success. I can probably remember enough to make something like what I saw, but the plans would help. Scroll all the way down for plans. There are different styles of Moxon vises. This one I have been using for 7 years .. It has a couple of novel features. 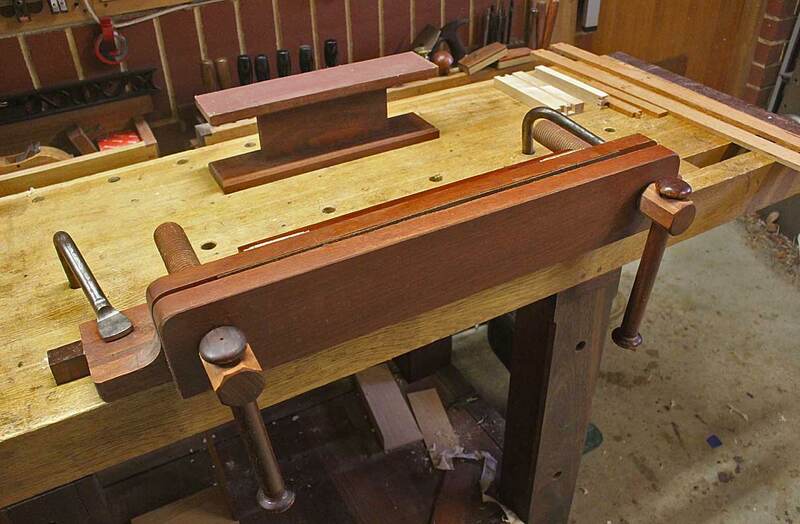 Articles on design and build at ..
Jeff Miller's Bench Top Bench from Fine Woodworking modified with a Moxon vise. Thanks to everyone who responded. Lots of great ideas.